Hoi Polloi Film and Video was founded in 1988 and has supplied location film crews to both broadcast and corporate clients regionally, nationally and worldwide for over 20 years. We can provide fully staffed and equipped shooting packages on DVCam and DigiBeta with HD and Super 16mm also available on request. 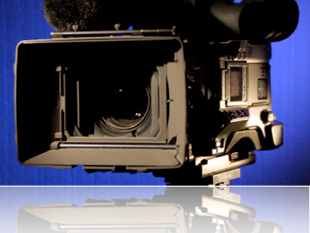 Our Lighting Cameramen and Sound Recordists are all broadcast trained and each have a minimum of 25 years’ experience, covering documentaries, drama, news, sport and current affairs. Office ‘phones are monitored 24 hours per day, but should you wish to speak to any member of Hoi Polloi directly to discuss rates or availability please do not hesitate to use the contacts listed. Scan QR code with smartphone or to store contact details on this computer, click on Rotadex card.